Write to Connect is the theme for the 2013 National Day on Writing, which has expanded into a weeklong celebration of making connections through writing. In my October 6th blog post, I wrote about the importance of being a connected educator, but I have also been reflecting on my connections with nature. One way I have been connecting is by noticing the cycle of the tides. At least once a day, I check the Tide Table app I downloaded to my iPhone, because I want to know if low tide will occur when it will be convenient for my daily walk. If I don’t time it right, the waves will be crashing on the cliffs, and I won’t be able to explore my preferred route along the base of the mossy green rocks. I have learned a lot about the patterns of the Pacific simply by paying attention to the tides, and in the process, I have developed deeper feelings of connection to the environment. 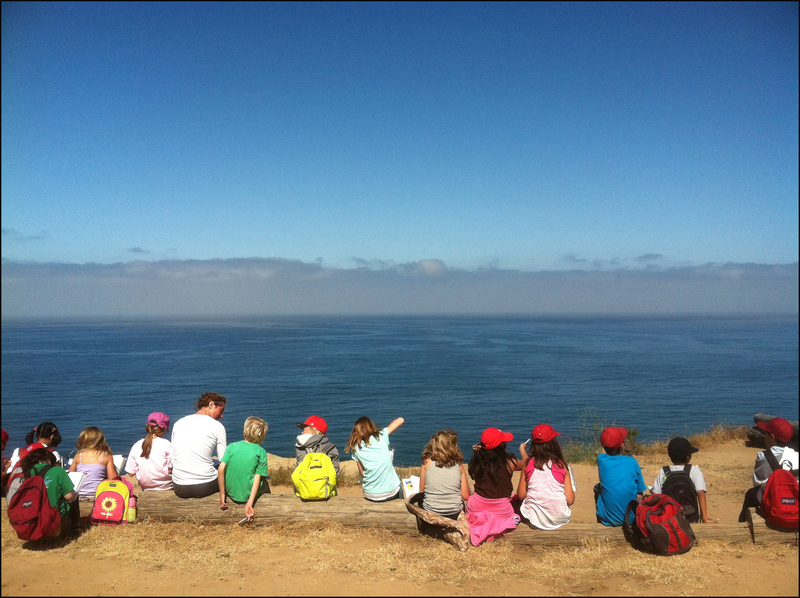 For the past three summers, I have also had the opportunity to help children connect with the environment while teaching at Young Writers in Nature (YWN), a 5-day camp held the last week of June at the University of California, San Diego. (UCSD). 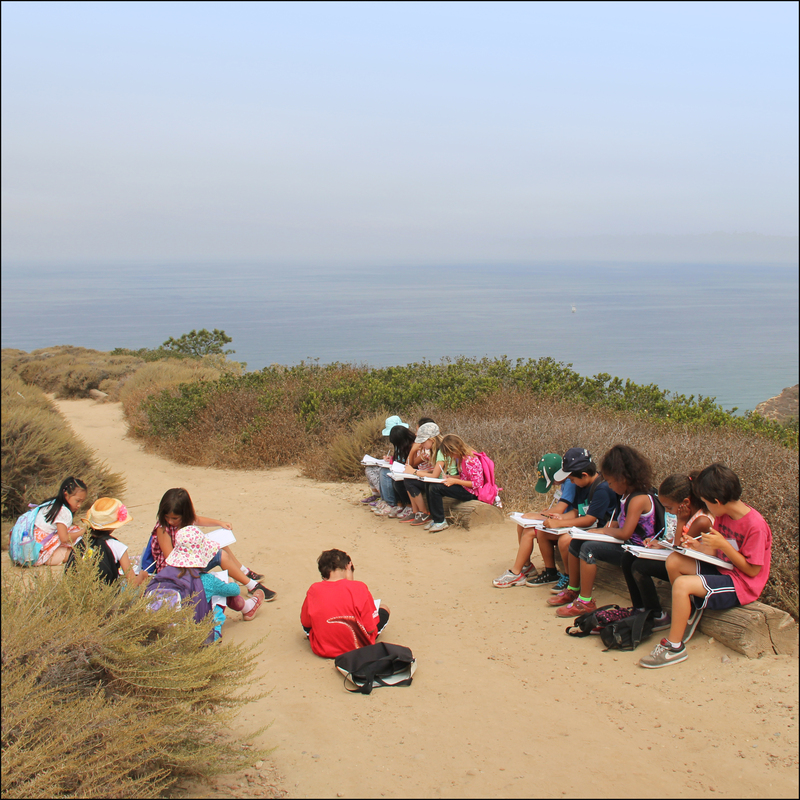 The camp, which is hosted by the San Diego Area Writing Project (SDAWP), provides students entering grades 3 – 6 engaging opportunities to observe and write about the native plants and animals living in the endangered coastal sage scrub ecosystem of Southern California. The walking field trip to the Knoll, a protected mesa overlooking the Pacific Ocean, at the Scripps Coastal Reserve has become the highlight of YWN. When we arrive at the western-most-point of the reserve, the campers sit down on logs lining the overlook, and we share a picture book called Atlantic. 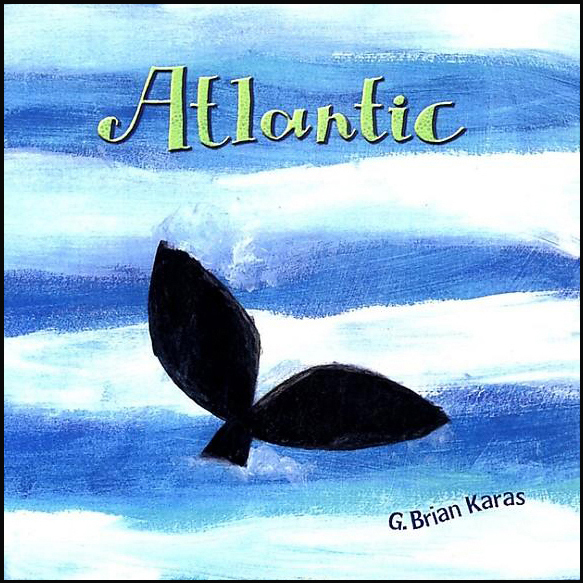 The book, by G. Brian Karas, is written from the poetic perspective of the ocean. After we read the book, we ask each camper to use it as a mentor text for his/her own “I Am” poem. Campers can choose to write from the perspective of anything in nature that we have observed at YWN. For example, Sakeena wrote from the perspective of the Pacific Ocean while Emre wrote from the perspective of wild grasses, and Eve wrote from the perspective of the cliffs. Campers submit their favorite lines, which are added to a collective poem that is shared with parents as on the final day. Through their poetry, campers express their connections with nature and their voices come alive as the group I Am Nature poem is read line-by-line. Opportunities to write in nature can further enhance those feelings of connectedness and will help students develop the most vital connections of all—the connections they make to themselves and their world. 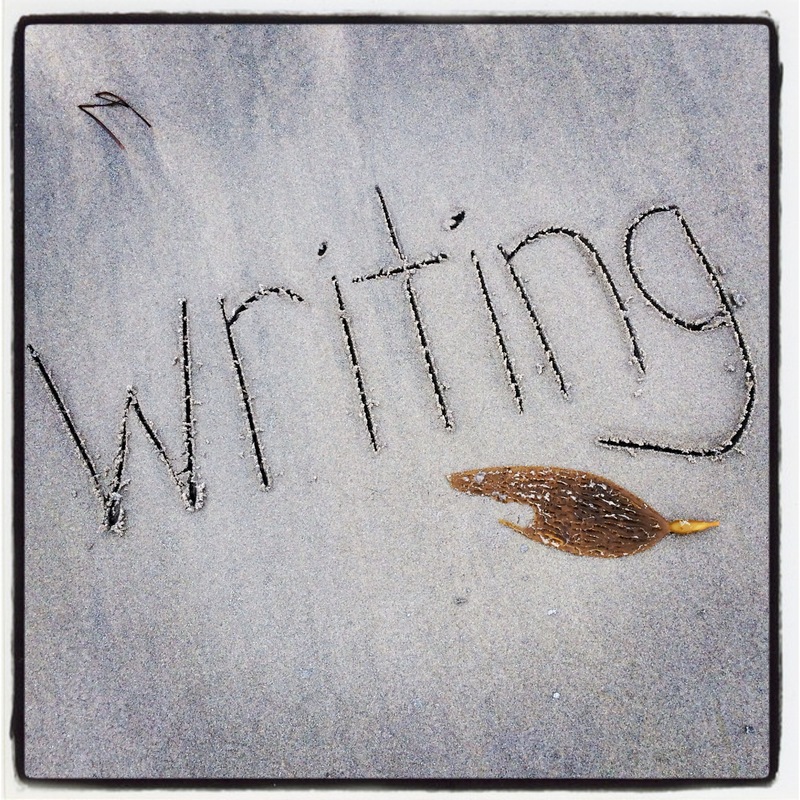 This entry was posted in Education, Living, Mentor Text, SDAWP Photo Voices, Teaching, Uncategorized, Writing and tagged #celebrate, #celebration, #connectededucator, #connecting, #nationaldayonwriting, #teaching, #write2connect, #writing, SDAWP Voices. Bookmark the permalink. Agreed–an essential human experience left behind by standard curriculum. I love that way that both writing and photography help us to connect with nature. Today I saw a woodpecker at work…and wished my iphone could capture what my eyes could see! But without looking for interesting photos I might have missed that beautiful and fascinating bird! Another great post, Janis!